I quite like 'Little Nellie'. Not saying it is my favorite, although I have not flown on many. 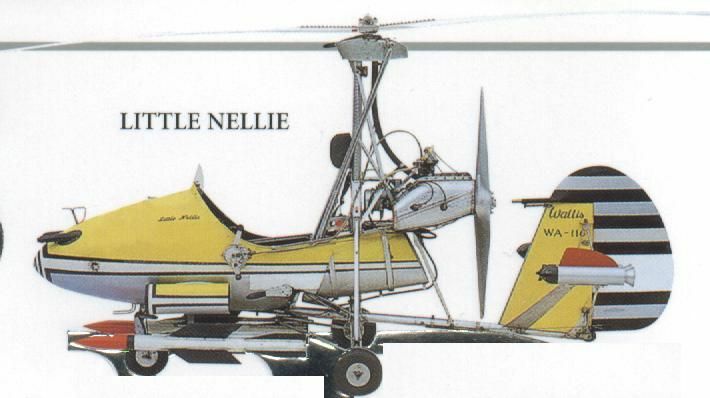 Little Nellie is not a helicopter. True, it is an autogyro. but I still like it. 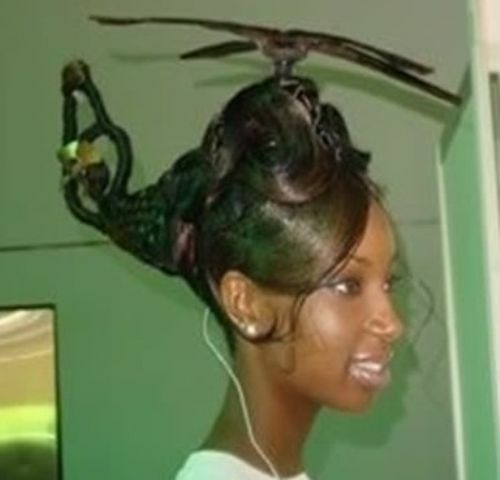 I'd had to change the thread title to "Autogyro & Helicopters", but since this is 'The Bilge', I figured it would be OK. However I stand corrected, and will possibly be taken round the back of the screen and shot at dawn. PS AlanMc : Apparently it is spelt without a 'hyphen', be careful otherwise you may find yourself joining me round the back of the screen and shot at dawn. Last edited by Rum_Pirate; 04-15-2019 at 08:49 AM. Yep! 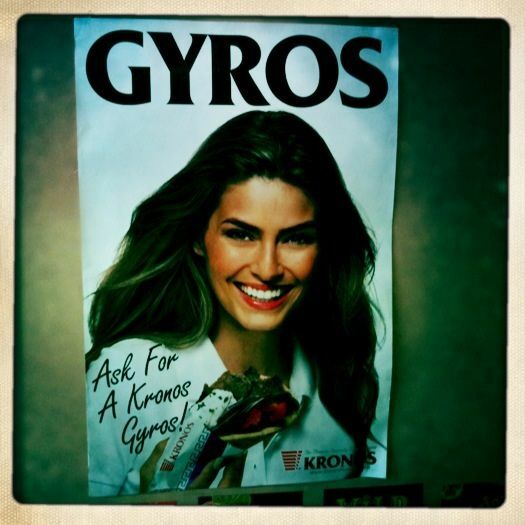 It's called a Gyroptere, at least in France. They have come along way from the original Benson and an interesting flying experience. Understood that is not 'OK', which I dutifully acknowledged in the line in my post #5 following . . . "I figured it would be OK."
"never send a ferret to do a weasel's job.."
When I was at Osan AB in Koregia in the seventies, we had a Jane's All the Worlds' Aircraft on the desk as a reference. It helps to know the characteristics of the aircraft the nation being monitored flies, as it helps the communications and intelligence analysis. 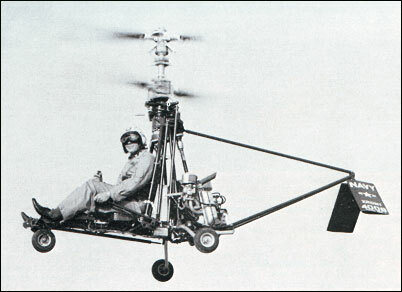 Just being bored, I spent a bunch of hours trying to stay awake on a slow mid-shift, fantasizing about the Bell gyrocopter. At the end of the article, it mentioned that they were available in kit form for a mere eleven hunfdred bucks. 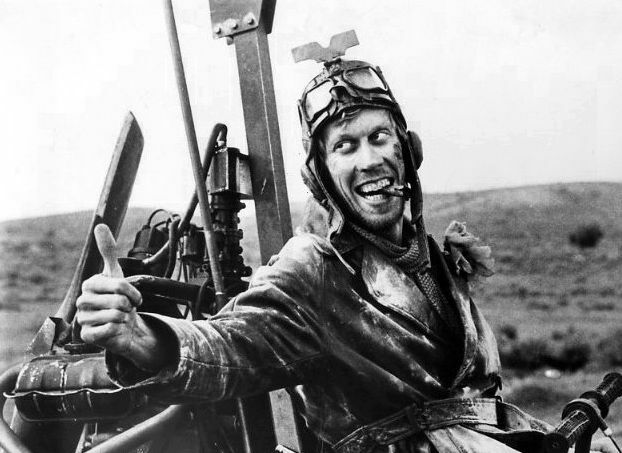 And the beauty of it, supposedly, was that you could legally build it and fly it without an airframe mechanic's license. It was originally a tethered flight training aid, IIRC, maybe for the astronaut program in the early sixties? As long as there is forward movement through the air, the flow of the air will drive the otherwise un-powered rotor, and it will provide lift. But if it stalls, if the air speed falls off, a rapid descent ensues. 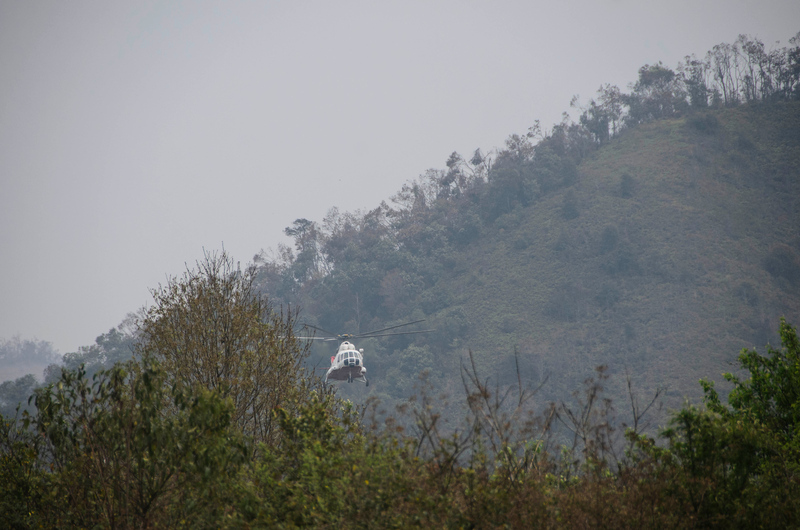 The good news is that if you don't panic, the acceleration towards the ground also provides forward motion through the air and the rotor will be driven again and so again provide lift, if you have enough room above the dirt. If you stall at low enough altitude that your acceleration doesn't have time to build lift, ... bounce. The "autogyro jump" looks pretty vertical. S.V. Laura Ellen's GyroGirl looks to be radioactive, and in imminent danger of suffering a fallout accident... too much exposure and not enough containment. Anyone got a copy of Bruce McCall's Autogyro Jousting from "Zany Afternoons"
When I was about 12, Gyrodyne was near us experimenting with the motorcycle of helicopters - the rotorcycle. They had twin towers with a cable between and a drop cable to a swivel eye atop the rotors hub as a safety during test flying. Once they had it down, they boasted that even a 12 year old could drive it. Safely tethered and Dad beaming, I was the lucky kid. Here's another way to make your rotors go round. Promising, but too noisy. Veteran of the Battle of Mogadishu, call sign Super 65. In 2015 Unical Defense purchased UH-60A 83-23887 (Former MH-60A). Not only is this Black Hawk one of the few former Special Operations aircraft released to the civil market, but it also has a distinguished history having participated in the Battle of Mogadishu as “Super 65” / “Heavy Metal”. The Battle of Mogadishu or the Battle of the Black Sea took place Oct. 3-4, 1993 and was made popular by the Mark Bowden Philadelphia Inquirer articles and subsequent Ridley Scott movie “Black Hawk Down”. This UH-60 was part of the 160th SOAR (Special Operations Aviation Regiment) D Company in Operation Gothic Serpent, Somalia. Crewed by pilots Gerry Izzo, Richard Williams and Crew Chief Pat Powers, “Super 65” was tasked with fast-rope inserting Chalk 2: a group of U.S. Army Rangers led by First Lt. Tom DiTomasso. Ok, Kandahar Afghanistan, slow day, looking down the ramp, spot those crazy Ukrainians... what are they up to now? 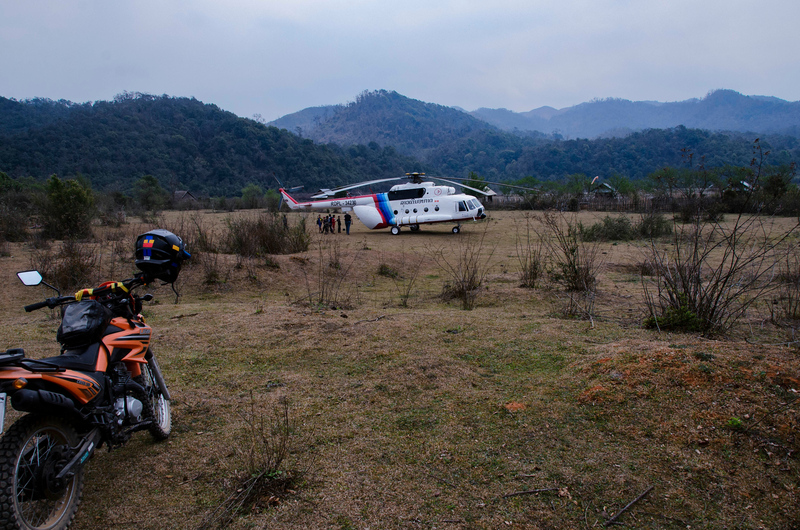 They've got chalk, a big stick, and a running Mi-8. It looks like they're going to ground track a main rotor using the ancient stick method. Run up helicopter and slowly move white canvas covered big stick towards the rotor disk until the tip caps rub the canvas and leaves 5 marks. So the guy holding the stick is not just brave, but smart. The rotor blades are spinning clockwise as viewed from above, so if he jams the stick in too far, the stick will be flung away from him. Unfortunately the other guy isn't as smart, and seems to be in the path of the stick. Sorry to say I don't have a picture of the canvas after their run. But it had several chalk rubs on it, some colors close together, a couple an inch or two higher and lower. It's not uncommon on the ground for the tip paths not to match exactly. Actually, that's true in flight also. What's more important is a good balance and sometimes the blades don't fly exactly even when they are balanced correctly. Anyhow, that was the only time I've ever seen blades tracked like that, although it's in all the books. Here’s how the blades move in flight. At least on the older helicopters the blades were hinged so they could flap. The advancing blade encounters an increase in speed and rises which lowers the angle of attack. The retreating blade encounters at tailwind which causes it to descend, which I turn increases its angle of attack. The lift over the entire disk stays balanced in forward flight—up to a point. Last edited by The Bigfella; 04-17-2019 at 10:08 AM.